ON SALE NOVEMBER 2017. Getting cut in half by Obi-Wan Kenobi and being rejected by his former Sith Master Darth Sidious isn’t going to defeat Darth Maul. In fact, it only makes him mad enough to take on the galaxy — alongside an army of Mandalorians! 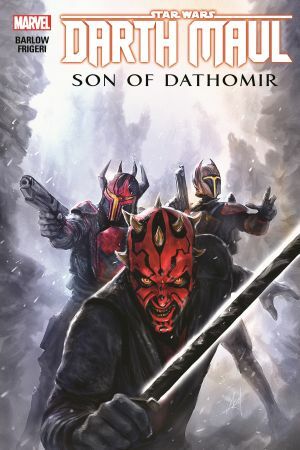 After forming the Shadow Collective — a criminal organization composed of the Hutts, Black Sun, Mandalorians and fearsome Nightbrothers — Maul wages war against Darth Sidious and his generals, Count Dooku and General Grievous! Adapted from unproduced teleplays for Season Six of The Clone Wars TV series, this is the final chapter planned for Darth Maul’s saga. 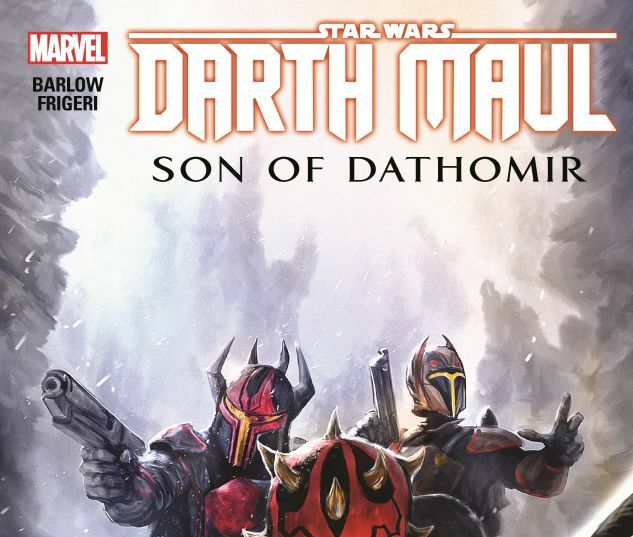 Collecting STAR WARS: DARTH MAUL — SON OF DATHOMIR #1-4 and material from STAR WARS TALES #7-9.